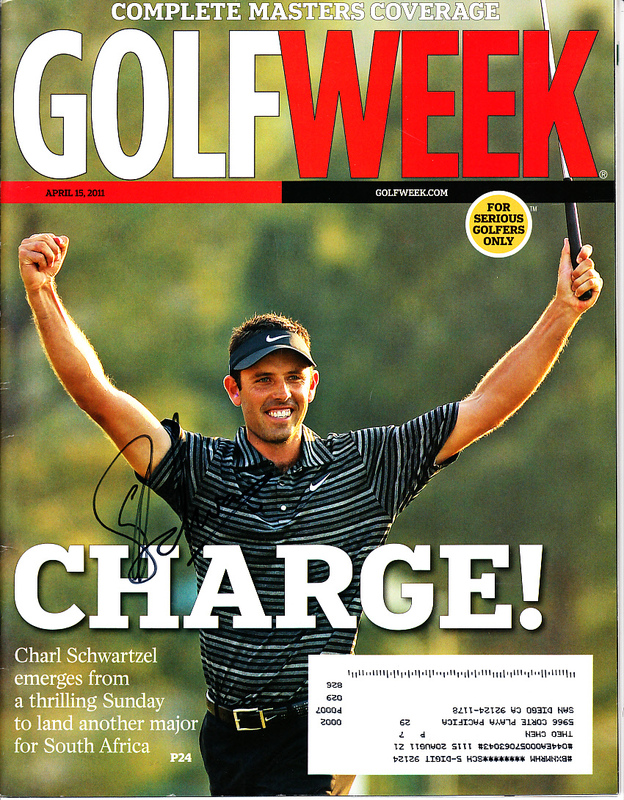 Complete 2011 Golf Week magazine commemorating the Masters win of Charl Schwartzel autographed in black marker. Obtained in person. With certificate of authenticity from AutographsForSale.com. ONLY ONE AVAILABLE FOR SALE.